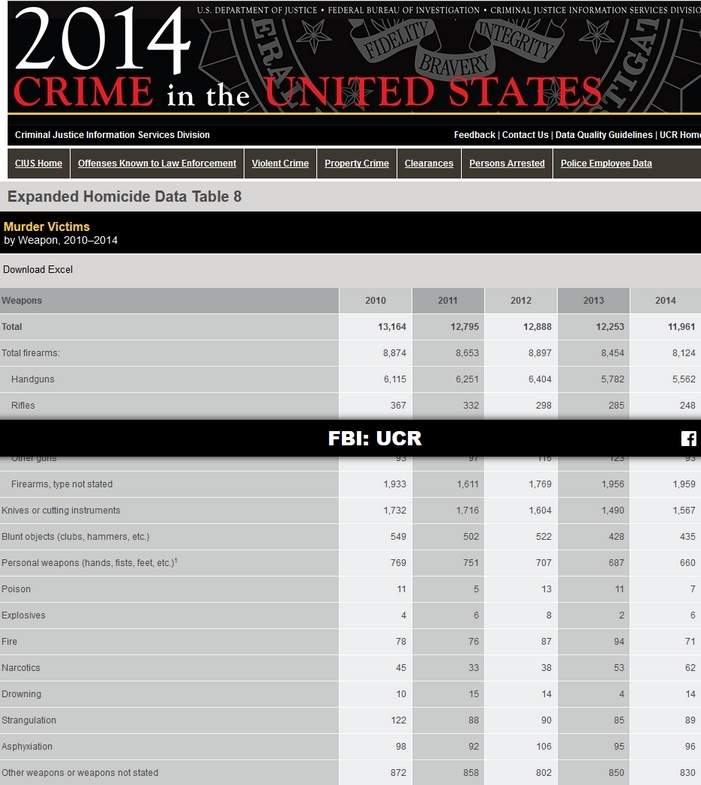 In 2014, according to the F.B.I., there were 11,961 murder victims in the United States. Of those, 248 were by criminals using rifles of any type: 0.02017 of the total murder victims were killed by criminal use of rifles. Killed by hands, fists, feet: 660. Killed by prescription opioids and heroin: 28,647. Drug overdoses in total: 47,055. 79,730 deaths due to automobiles and drugs. Rifles save lives and are protected by the United States Constitution.